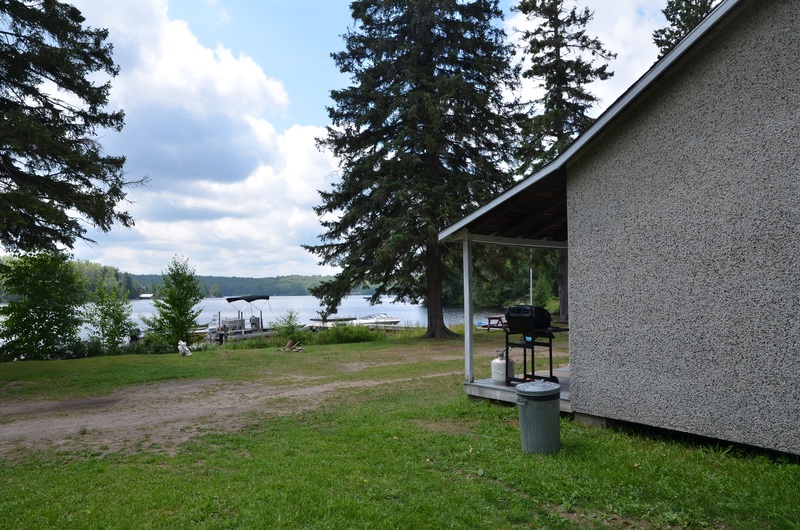 Cottage #5 (3 bedroom waterfront) is in front of the beach and docking area. There is a picnic table and bonfire pit outside, and covered porch with propane BBQ. Inside you will find three comfortable bedrooms, two with double beds, and the third with two twin beds. We supply pillows and blankets. Towels and bedding linen not included. There is a fully equipped kitchen with full size refrigerator and range, a microwave, toaster and coffeemaker, as well as dishes, pots, pans, cutlery, cups and mugs. It contains a 3 piece bathroom, and a dining/sitting area.